We are fascinated with animals that can put us right back in our place on the food chain. But that brief moment of humility is typically bypassed when virility comes into the picture. Yes, a big strapping man with traps the size of a Volkswagen Beetle must come along, save the day, gouge out a Megalodon’s eye and get the girl. The Meg, based on the novel by author Steve Alten, seems to encapsulate our inner hunter and our unnecessary need to kill anything that attempts to humble us. 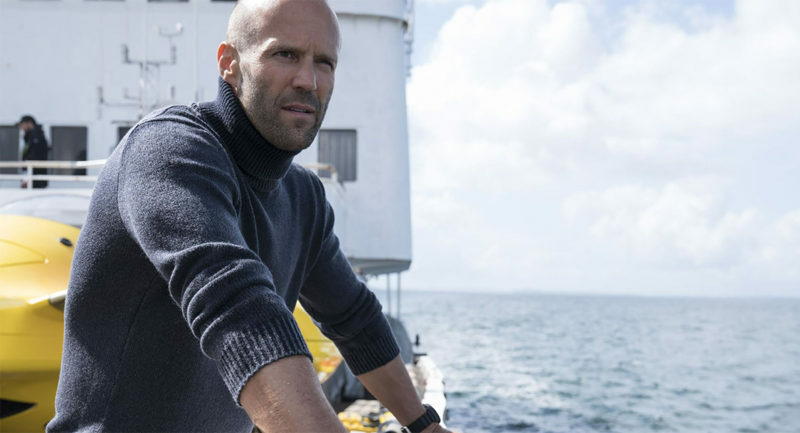 Jason Statham is the protagonist, and given the script has limited depth in character development, he seems to pull off the necessary cheese to make this film entertaining, at least. Back in the real world, a group of scientists placed a tracking gizmo on a 9-foot Great White back in 2003, only to have the device wash ashore soon after. When they uploaded the data, they discerned the shark had been attacked by something much bigger. What? We still don’t know. But it lived around the 1900-foot mark. And was a lot bigger than our 9-footer. Most scientists believe it to be a 16- to 20-foot Great White, but you know, people have imaginations, and that 20-footer, albeit big, is not big enough to satiate their needs. Of course, this fed the fire of cryptid fans, hankering for another coelacanth moment. Outside of the fossilized teeth, interpreted by Danish naturalist Nicolas Steno to belong to a shark back in 1667, there isn’t a ton of evidence to suggest Megalodons are nothing more than prehistoric beasties. Nowadays, what passes for evidence is mostly chum-chucking, doctored YouTube videos. The Meg plays on this fancy, explaining that deepest trenches of the earth could potentially house these magnificent killers. There are your token jabs at Jaws, with the banana boats in Sanya Bay and “they got a bigger boat” after the crew’s first boat gets ripped apart by not one, but two big sharks. There are a few more strokes at other aquatic tales, “Just keep swimming” of Finding Nemo fame comes to mind. The plot is borrowed from Alten’s first book in a long-in-the-tooth, milk-for-all-its-worth series. However, this time we’re taken on a trip to a billion-dollar lab. Thankfully, the script adaptation removed the estranged wife, an if-it-bleeds-it-leads journalist named Maggie, and replaced her with a submarine pilot named Lori (Jessica McNamee), who spends most of the movie prone in a hospital bay. She rejoins the small ensemble of Meg survivors later in the film, on that aforementioned bigger boat. Still, the amount of continuity errors, the lack of research of indigenous species off the coast of China, and the fact that the cast is so minimal in this film, the marine biologist, Suyin (Bingbing Li), is acting as a mother, CEO, and super-heroine. I do appreciate Cliff Curtis’ appearance as Statham’s perma-grin confidante, Rainn Wilson’s stereotypical ignorance-is-bliss CEO and Ruby Rose’s always-falling-in-the-water engineer. And there’s a loose hint at a sequel — a shark wiggling out of the Megalodon’s mouth at the end — which could have been explained a little more accurately. At least the film accepts what it is, a goofy adaptation of a Peter Benchley-meets-Clive Cussler adventure novel. Ya gotta milk it for its worth.